Stafford began to see Famine refugees in February 1847, and they had become a flood by April. The Poor Law authorities struggled to cope and between April and June the Stafford Poor Law Guardians gave relief to no less than 3,557 paupers, about two-thirds of whom were Irish. The Irish Famine by George Frederic Watts, 1849-50 (detail). The Kellys were one such destitute family. The absolutely destitute were forced into the Workhouse vagrant wards. 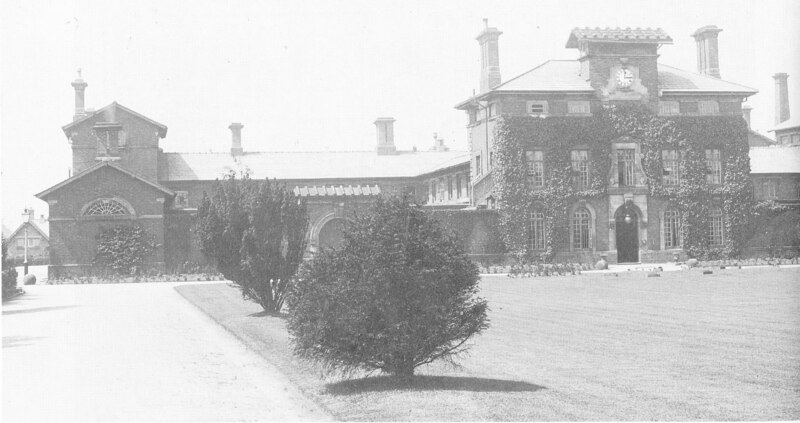 Many were suffering from typhus or relapsing fever, and if they did not have it already, they were likely to pick it up in the appalling conditions of the Workhouse. By July the fever wards were full and in the chaos the destitute Irish were all crammed in together – the sick, the dying, the apparently well, those relapsing into fever and the convalescent. 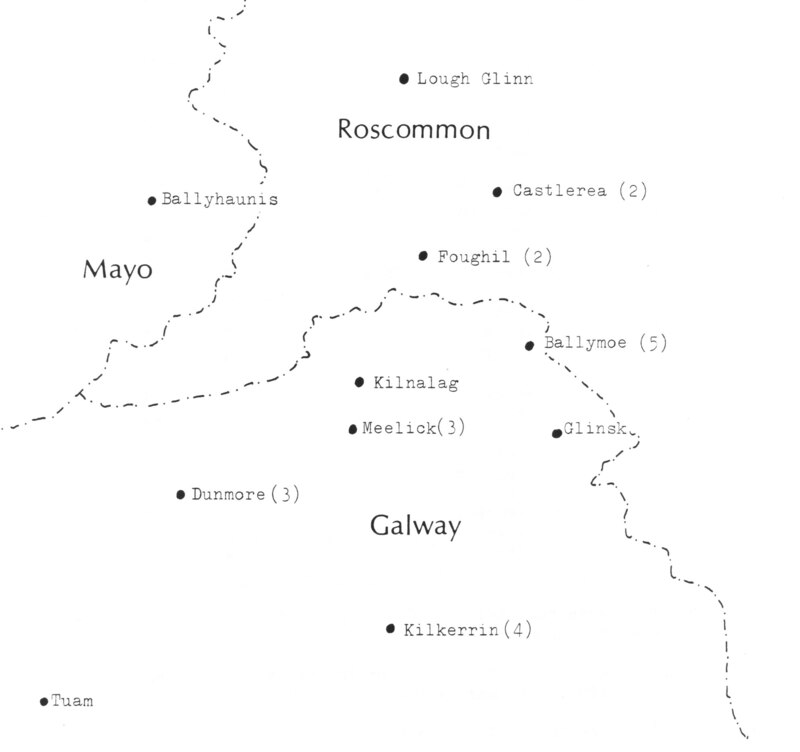 Along with better-known destinations, Stafford was a direct witness of the Famine’s misery. One family caught up in the maelstrom was the Kelly family and, unusually, we know a certain amount about their arrival in Stafford. This was because, uniquely in Stafford, the Poor Law authorities tried to deport them back to Ireland. James and Jane Kelly (née Carabine) came from Co. Mayo and the first definite record of the family dates from 10 July 1847 when the Relieving Officer, Edward Brannington, applied for 2s 1d to relieve Jane Kelley (sic), ‘an Irish pauper’. A ‘Thomas Kelly’ had already been admitted to the workhouse on 29 June, however. He came in because of illness. He was so ill that he was removed to the Infirmary on 1st July. ‘Thomas’ Kelly’s recorded age tallies with that of James, and it seems they were one and the same. Jane and her eight year old daughter Mary were destitute because of James’s illness, and this would explain why she got outdoor relief. A week later she had received £2 3s 2d, and on 7 August she got another £1 1s 2d, with a further 2s 5d on 21 August. As helpless dependants, Jane and Mary Kelly were stranded in the town while James lay ill, but in late August he must have recovered enough to be discharged. The Guardians started to panic at the cost of coping with the Famine Irish, and on the day that Jane Kelly got her final payment the Guardians resolved ‘that the Act to amend laws relating to the removal of poor persons from England (10 & 11 Vic. Cap. 33) be put into force’ in the Stafford Poor Law Union. The destitute Irish were to be deported back to Ireland. In practice the authorities in Stafford then proved reluctant to implement the procedure, but the Kellys became a test case. On 24 September 1847 James Kelly was again admitted to the Workhouse because of illness. The authorities refused to give Jane any more outdoor relief, and she and her daughter were forced inside as well. In effect they were imprisoned there before the next move. The family was discharged on 17 October and an order made for their removal from the parish – and England. A month later came the reckoning. On 13 November Brannington presented his bill of £4 4s 9d “for conveying three Irish paupers – James Kelley, Jane his wife and one child – to Liverpool and the amount of their fair by steam packett to Dublin”(sic). The Guardians refused to pay up. They said the relieving officer had exceeded his powers and that the expenditure was too high. They passed the bill to the parish overseers of Stafford with the excuse that the Kellys were chargeable to that parish. The Stafford overseers also refused to pay and passed the buck back to the Union. Two weeks later Brannington presented his bill again together with the Order of Removal. This time the Guardians questioned the legality of the Order but cravenly decided to seek guidance from the Poor Law Commissioners in London. The Commissioners’ ruling does not survive, but the matter surfaced again on 22 January 1848 when Brannington was cross examined over his actions in the Kelly case. The Chairman supported the relieving officer, arguing that ‘Birmingham and other places were removing great quantities of Irish …. and Stafford must do the same’. The other guardians were not convinced and they did nothing. There is no evidence that the Stafford poor law authorities removed any more Famine Irish from the town. It was too much trouble. The Kelly family had, in the short term, been the unlucky victims of a failed experiment. They had the last laugh, however. Although Brannington claimed for their boat fare to Dublin, the family either slipped the net in Liverpool or got the first boat back from Ireland. They returned to Stafford. We know they were back in the town by 1848 because their son Martin was baptised at St Austin’s in October of that year. The Kelly family went on to live fairly violent lives on Stafford’s social margins but they remained in the town for more than thirty years. Their troubled history (described in my book Divergent Paths) raises the question of whether one or more individuals in the family were suffering post-traumatic stress. The family was immediately and uniquely identified as troublesome by the Poor Law authorities and this suggests there were deeper issues whose symptoms are now lost to us. 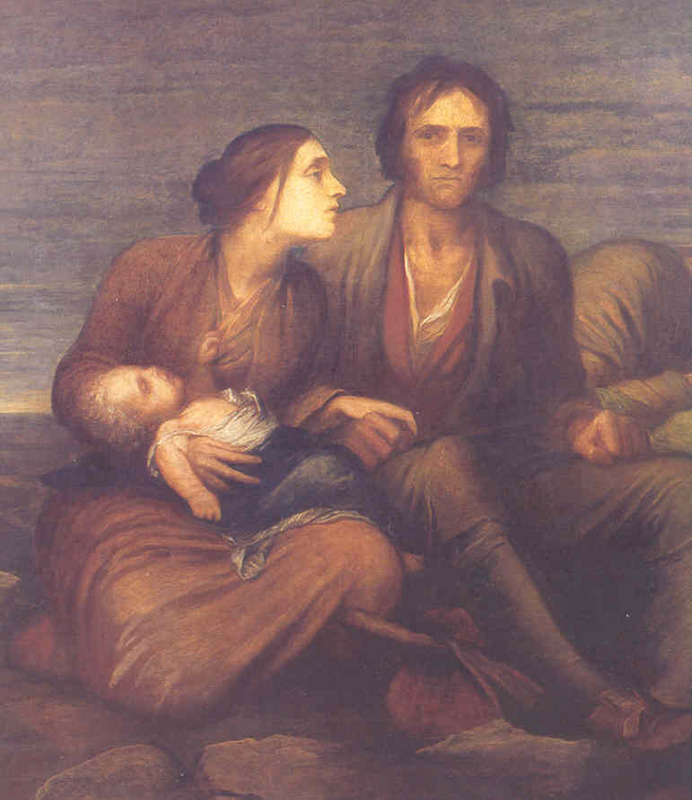 The Kelly family certainly encapsulated some of the long-term damage caused by the Irish Famine. The number of Irish-born in the Stafford district rose from 145 in 1841 to 585 in 1851. Staffordshire Advertiser, 20 February 1847. Quoted in the SA, 18 May 1847, from a meeting of the Board of Guardians. Staffordshire Record Office (SRO), D659/8a/5, Stafford Poor Law Union, Board of Guardians Minute Book, 17 April 1845- 3 February 1849. Birmingham Archdiocesan Archives, P255/1/2, Stafford, St Austin’s, Register of Baptisms, 4 October 1848, Martin Kelly.